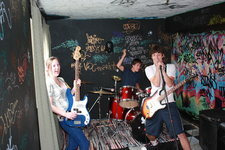 Crash is a hard-rocking trio of talented teenage musicians/songwriters. With 2 former members of Carrot, a new drummer, a new name, and a menacing set list, Crash is back and Ready For Shows. Crash has been rebranded as Crash Assassasin.